Ted Stevens Anchorage International Airport (IATA: ANC, ICAO: PANC, FAA LID: ANC) is a major airport in the U.S. state of Alaska, located 5 miles (8 km) southwest of downtown Anchorage. The airport is named for Ted Stevens, a U.S. senator from Alaska in office from 1968 to 2009. It is included in the Federal Aviation Administration (FAA) National Plan of Integrated Airport Systems for 2017–2021, in which it is categorized as a medium-hub primary commercial service facility. Built in 1951, the airport was served in the 1950s by Alaska Airlines, Northwest Orient, Pacific Northern Airlines and Reeve Aleutian Airways, using aircraft ranging from Douglas DC-3s to Boeing 377s, and was also a refueling stop for Canadian Pacific Air Lines service to the Far East (one such aircraft being involved in a 1951 disappearance). From 1955 to 2011, the eastern end of the airport's southernmost runway connected to the Kulis Air National Guard Base. 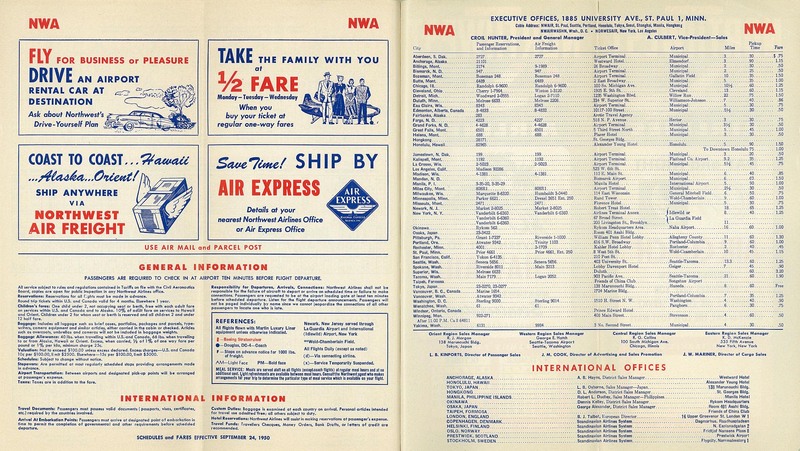 Northwest Orient, the first airline to operate scheduled transpacific service after World War II, used Elmendorf Field and later Anchorage International as a stopover for service between US points (Seattle, Chicago and Minneapolis at various times) and Tokyo as late as the mid-1970s. Scandinavian Airlines (SAS) began a transpolar flight from Copenhagen to Tokyo via Anchorage in 1957. 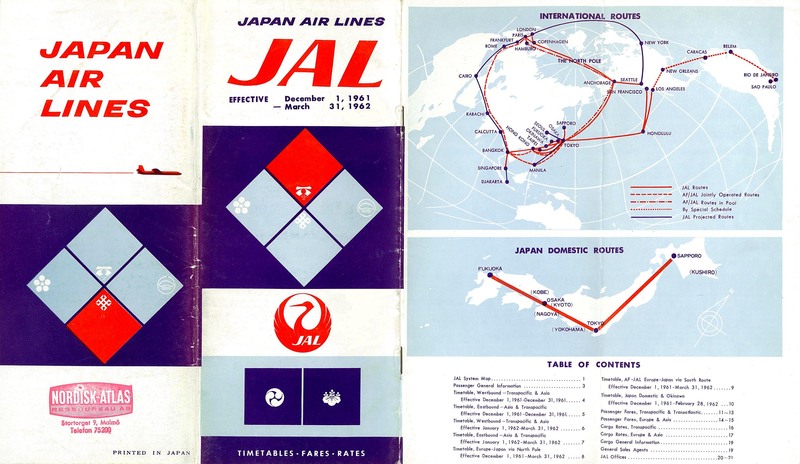 Japan Airlines served Seattle through Anchorage in the early 1960s, and offered service through Anchorage to London, Paris, Amsterdam, Düsseldorf and other European cities from the 1960s until as late as 1987. Air France, British Airways, Iberia, KLM, Lufthansa and Sabena all used Anchorage as a stopover point between Europe and Tokyo into the 1980s. Korean Air used Anchorage as a stopover point for flights between Seoul and both Europe and the continental US in the 1980s. On September 1, 1983, one of these flights, Flight 007 was shot down by a Soviet pilot who had mistaken it for a spy plane, after unintentionally violating Soviet airspace. Most scheduled passenger service from Anchorage to Europe and Asia ceased in the early 1990s following the end of the Cold War. Korean Air continued to serve Anchorage on a scheduled basis until the early 2000s. China Airlines, the last Asian carrier to serve Anchorage on a regular basis, used Anchorage as an intermediate stop on its Taipei-New York route until 2011, when it rerouted these flights to stop in Osaka. While a few charter passenger aircraft still stop at Anchorage on flights between Asia and the eastern United States, scheduled cargo carriers – which benefit from more volume and thus shorter route segments – continue to use Anchorage frequently. In the 1990s, Alaska Airlines and Aeroflot operated service from Anchorage to several destinations in the Russian Far East, including Khabarovsk, Magadan, Petropavlovsk, Vladivostok and Yuzhno-Sakhalinsk. Alaska Airlines pulled out of these markets in 1998 due to insufficient demand, while the Aeroflot services were primarily intended as technical stops en route to Seattle and San Francisco and were cancelled once newer aircraft and nonstop rights became available. Reeve Aleutian Airways, Dalavia and MAVIAL Magadan Airlines also offered service between Anchorage and the Russian Far East at various times, catering to Kamchatka oil exploration and other niche markets. In October 2018, Alaska Governor Bill Walker and Heilongjiang Province Governor Wang Wentao announced plans to connect Anchorage and Harbin Taiping International Airport with year-round, nonstop flights as early as summer 2019. The airport was renamed in 2000 by the Alaska Legislature to honor then long-standing U.S. Senator Ted Stevens. Stevens survived a fatal crash at the airport in 1978. On November 30, 2018, the airport suffered minor damage and was temporarily closed following a magnitude 7.0 earthquake in the area. Ted Stevens Anchorage International Airport's passenger traffic hovered around the five million mark between 1998 and 2008, apart from in 2002 when the airport suffered a 13% drop in traffic. Fairbanks and Juneau are the next busiest airports though neither managed more than half a million passengers last year. Anchorage traffic peaks in June, July and August when passenger numbers are twice as high as between October and April. Most major U.S. passenger carriers serve ANC, with the majority of passenger flight operations by Alaska Airlines to and from Seattle (an average of 20 flights per day) and Fairbanks (5-7 flights per day). Anchorage is also envisioned as a future connecting point for air traffic to the Russian Far East. During the summer season 2008, there was one weekly flight to Russia by Vladivostok Air. Yakutia Airlines resumed summer seasonal service to Russia in 2012. Many of Alaska's North Slope workers live either in Anchorage or elsewhere in the Lower 48 states and fly through the airport to their jobs in Prudhoe Bay. As per Federal Aviation Administration records, the airport had 2,599,313 passenger boardings (enplanements) in calendar year 2008, 2,282,666 enplanements in 2009, and 2,342,310 in 2010. Ted Stevens Anchorage International Airport is also a major cargo hub. As of 2015, it ranked as the fourth busiest airport in the world by cargo traffic, after Hong Kong, Memphis, and Shanghai–Pudong. FedEx Express and UPS Airlines operate major hubs at Anchorage International for cargo heading to and from the Far East. NWA Cargo used to operate a major hub at the airport until December 28, 2009 when it closed all operations for Northwest Cargo at all airports. FedEx Express is the airport's largest cargo facility and can handle as many as 13,400 packages per hour, employing more than 1,200 people and providing a full customs clearance system. United Parcel Service's hub handles about 5,000 parcels per hour. Both companies forecast a large growth in traffic over the next several years as trade with China and other Far East countries increases and plan to expand their Anchorage facilities comparatively. The United States Postal Service also operates a large sectional center facility (SCF) for the 995xx ZIP Codes. It processes mail and parcels headed to and from all Alaska cities. 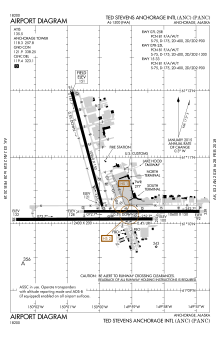 Ted Stevens Anchorage International Airport covers an area of 4,608 acres (1,865 ha) at an elevation of 151 feet (46 m) above mean sea level. It has three runways: 7L/25R is 10,600 by 150 feet (3,231 x 46 m) with an asphalt surface; 7R/25L is 12,400 by 200 feet (3,780 x 61 m) with an asphalt/concrete surface; 15/33 is 10,960 by 150 feet (3,341 x 46 m) with an asphalt surface. The airport also has one asphalt helipad that is 100 by 100 feet (30 x 30 m). For the 12-month period ending December 1, 2017, the airport had 261,961 aircraft operations, an average of 718 per day: 38% scheduled commercial, 33% general aviation, 29% air taxi, and <1% military. At that time there were 109 aircraft based at this airport: 61% multi-engine, 14% helicopter, 15% jet, and 10% single-engine. The FAA projects operations to increase to 334,279 by 2030, or 918.882 operations per day. The South Terminal (domestic) serves Air Canada, Alaska Airlines, American Airlines, Condor (Departures), Delta Air Lines, JetBlue, Sun Country, and United Airlines. All regional intrastate carriers also use the South Terminal. The South terminal contains 3 concourses: Concourse A, Concourse B, and Concourse C. Concourse C was completely rebuilt in 2004, design by McCool Carlson Green Architects, while Concourses A and B were built in 1985 and 1969 respectively and renovated in 2009. Architects HNTB and RIM Architects performed the architectural work for A/B Concourse. The south terminal also contains two L gates, numbered L1 and L2. These gates are outside security on the lower level and adjacent to Concourse A. The North Terminal (international), designed by McCool Carlson Green Architects, serves Condor, Japan Airlines, Korean Air, Icelandair, Yakutia Airlines, all international seasonal charter flights and military flights. In addition to these airlines, a few cargo airlines use the north side of the terminal for parking while their aircraft have small problems need maintenance for a day or so. This terminal was built in 1982. Roughly fifty destinations are accessible from ANC via nonstop or direct flights, including destinations in 14 U.S. states and the countries of Canada, Germany, Iceland, and Russia. U.S. mainline carriers operate a combination of year-round and seasonal service to the lower 48 states and Hawaii. Foreign carriers operate seasonal flights and seasonal charters to Canada, Asia and Europe, the latter two sold as bundled services. A shuttle bus runs approximately every 15 minutes between the North and South terminals and the employee and long-term parking lots. A land-side inter-terminal walkway was completed in 2009. Air-side connections between the sterile areas of each terminal are not available. Route 40 of the Anchorage People Mover bus system serves the airport's North and South terminals every 15 minutes from 6:00am to 7:30pm on weekdays and every 30 minutes until 2:00am, as well as service every 30 minutes all day on Saturday and Sunday, connecting it with the downtown Transit Center. Taxi queues are available in front of each terminal. Courtesy vans and other ground transportation options pick up from designated areas in front of each terminal. Major national rental car chains are represented in an on-site consolidated rental car facility attached to the South terminal. There is a rail station for the Alaska Railroad. It is only available during summer season for cruise ship service only. Renovations began on the A and B concourses in fall 2006. These renovations are designed to bring the older portions into compliance with current seismic, heating, ventilation, electrical and safety codes, and also include new baggage handling systems and renovations to the interior of the concourses. Since the completion of the construction, all domestic flights are operated out of the South Terminal. The piece consists of nine towers of glass, collectively adding up to 42 meters (130 ft) of in span and reaching to 8 meters (26 ft) at its highest point. The series of panels are inspired by Alaska's immensely rugged landscape of glaciers and mountains. The ambiguous images embedded within the sculpture address Alaska's continual balancing of the forces of technology with the vast powers of the natural world. The airport features an innovative customer service program, which partners with most on-site (and some nearby) vendors and concessionaires and aims to promote a positive image of the airport and the State of Alaska in the minds of travelers. This volunteer, self-funded committee mystery shops at partnering companies and provides awards of cash, free covered parking, and donated prizes to winning employees. On October 1, 1970, Douglas R4D-6 N47 of the Federal Aviation Administration crashed shortly after take-off and was destroyed in the subsequent fire. The aircraft was operating a local training flight. Both crew were killed. On November 27, 1970, Douglas DC-8-63 of Capitol Airlines crashed on take off from Anchorage killing 47 of 229 passengers and crew on board, operating as Capitol Flight 3/26. On January 13, 1977, JAL Cargo Flight 8054, a McDonnell-Douglas DC-8-62F, crashed shortly after takeoff with a cargo of live beef cattle for delivery to Tokyo, Japan. The three crewmembers and the two cargohandlers aboard the aircraft died in the crash and the aircraft was destroyed. The National Transportation Safety Board determined that the probable cause of the accident was a stall that resulted from the pilot's control inputs aggravated by airframe icing while the pilot was under the influence of alcohol. On December 4, 1978, a Learjet 25C en route from Juneau crashed upon landing. On board were Ann Stevens, wife of U.S. Senator Ted Stevens; lobbyist and former Alaska Commissioner of Commerce and Economic Development (and future U.S. Ambassador to Brazil) Langhorne A. Motley, prominent Anchorage lawyer Joseph Rudd, and three others. The party were traveling from the second-term inauguration of Alaska governor Jay Hammond to an Anchorage fundraiser organized by Motley. Motley and Ted Stevens were the only survivors. On June 8, 1983, Reeve Aleutian Airways Flight 8's propeller separated from the Lockheed L-188 Electra and tore a hole in the fuselage over the Pacific Ocean causing an explosive decompression and loss of control. The pilots managed to land the aircraft safely at Anchorage and all 15 passengers and crew survived. Since the propeller fell into the sea the cause of the separation is undetermined. On March 31, 1993 a Boeing 747–121, Japan Airlines Flight 46E, operated by Evergreen International Airlines, departing Anchorage for Chicago, suffered a complete loss of the number 2 engine pylon at 2,000 ft after encountering extreme turbulence after takeoff. The aircraft then experienced an uncommanded left bank of approximately 50 degrees. The flight crew successfully landed the aircraft back at Anchorage International, to discover the number 2 engine and all of the leading edge of the wing between the number 1 and 2 engines had been torn away. On October 9, 2002, a Boeing 747-451, Northwest Airlines Flight 85 en route from Detroit to Tokyo, suffered a lower rudder hardover. While flying over the Bering Sea the aircraft abruptly went into a 35 through 40-degree left bank after the lower rudder had swung left 17° and hydraulic failure caused it to be stuck in place. Captain Frank Geib and First Officer Mike Fagan were at the controls at the time, having just taken over from Senior Captain John Hanson and First Officer David Smith. Geib declared an emergency and turned the aircraft back towards Anchorage. Hanson had returned to the cockpit and soon took over the controls. He and Fagan then flew the aircraft for over an hour before successfully landing in Anchorage. In order to steer the aircraft they had to use asymmetric engine thrust, or varying input into the engines as they were unable to use the ailerons at the time. No passengers or crew were injured, but the incident resulted in an airworthiness directive to prevent the possibility of a future accident. ^ a b c d FAA Airport Master Record for ANC (Form 5010 PDF). Federal Aviation Administration. effective April 27, 2017. ^ a b c "RITA | BTS | Transtats". Transtats.bts.gov. Retrieved May 6, 2017. 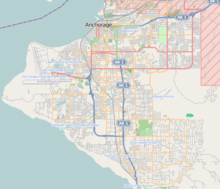 ^ "ANC - Anchorage [Ted Stevens Anchorage Intl], AK, US - Airport - Great Circle Mapper". Retrieved June 4, 2015. ^ "List of NPIAS Airports" (PDF). FAA.gov. Federal Aviation Administration. October 21, 2016. Retrieved May 6, 2017. ^ "All sizes - Anchorage55_0008 - Flickr - Photo Sharing!". Retrieved June 4, 2015. ^ "NW121874p2". Retrieved June 4, 2015. ^ "1987 - Japan Air Lines (JAL) Timetables, Route Maps, and History". Retrieved June 4, 2015. ^ "NRT83intro". Retrieved June 4, 2015. ^ "IBERIA Resumes Tokyo Service from late-Oct 2016". Routesonline. Retrieved January 18, 2016. ^ "1981 - April - Korean Airlines Timetables, Route Maps, and History". Retrieved June 4, 2015. ^ "China Airlines cutting nonstop flights from ANC to Asia". Anchorage Daily News. Retrieved November 15, 2018. ^ JNTO. "News - A New Route from New York to Osaka - Official Tourism Guide for Japan Travel". us.jnto.go.jp. Retrieved November 15, 2018. ^ Brooke, James (March 30, 1997). "Alaska Airlines Opens Russia's 'Wild East'". New York Times. Retrieved October 2, 2013. ^ "Alaska Airlines tries new approach to Russia". Puget Sound Business Journal. August 22, 1999. Retrieved October 2, 2013. ^ Stapleton, Rob (March 11, 2007). "Russian airline to re-establish Anchorage-Far East connection". Alaska Journal of Commerce. Retrieved October 2, 2013. ^ "Gov. Walker: Direct flights to China could come in 2019". www.ktva.com. Retrieved February 2, 2019. ^ "Bill would rename airport for Stevens". AP. April 3, 2000. Archived from the original on October 4, 2013. Retrieved October 2, 2013. ^ Falsey, Jeannette; Berman, Mark; Fritz, Angela (November 30, 2018). 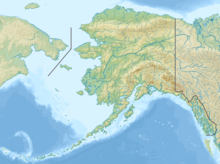 "'Major' damage to Anchorage area after severe 7.0-magnitude earthquake in Alaska". Washington Post. Retrieved December 1, 2018. ^ a b "Anchorage dominates Alaskan airport landscape; Palin-mania may boost traffic as state gets massive media coverage". anna.aero. October 3, 2008. ^ "Alaska-Kamchatka Flights to Be Restored | Business". The Moscow Times. Retrieved February 22, 2013. ^ "FAA Terminal Area Forecast". Archived from the original on March 5, 2016. Retrieved June 4, 2015. ^ "China Airlines cutting nonstop flights from ANC to Asia". Alaska Dispatch News. Retrieved June 4, 2015. ^ "Flight Schedules". Retrieved June 6, 2018. ^ "Flight timetable". Retrieved June 6, 2018. ^ "Interactive route map". Retrieved January 15, 2019. 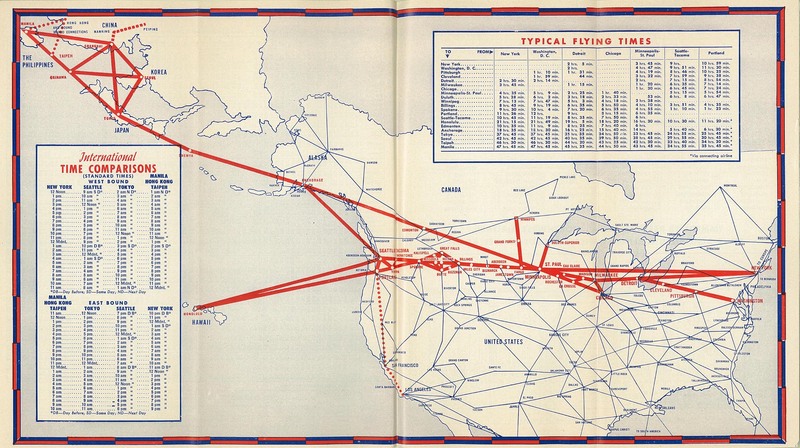 ^ "Flight schedules and notifications". Retrieved June 6, 2018. ^ "Timetable". Retrieved June 6, 2018. ^ "Destinations - Grant Aviation". Retrieved June 6, 2018. ^ "Flight Schedule". Retrieved June 6, 2018. ^ "JetBlue Airlines Timetable". Retrieved June 6, 2018. ^ "PenAir Destinations". Retrieved June 6, 2018. ^ "Destinations - Ravn Alaska". Retrieved June 6, 2018. ^ "Sun Country Airlines". Retrieved June 6, 2018. ^ "Freighter Schedule | Alaska Air Cargo". Archived from the original on August 23, 2018. Retrieved August 22, 2018. ^ "Atlas Air Flight 4131". FlightAware. Retrieved November 24, 2017. ^ "Atlas Air Flight 596". FlightAware. Retrieved October 22, 2017. ^ "Atlas Air Flight 8373". FlightAware. Retrieved October 22, 2017. ^ "Atlas Air Flight 612". FlightAware. Retrieved October 22, 2017. ^ "Atlas Air Flight 4136". FlightAware. Retrieved October 26, 2017. ^ "Atlas Air Flight 518". FlightAware. Retrieved October 26, 2017. ^ "Atlas Air Flight 7167". FlightAware. Retrieved October 22, 2017. ^ "People Mover". People Mover. Retrieved February 22, 2013. ^ Ted Stevens Anchorage International Airport. "Ted Stevens Anchorage International Airport – Bus & Shuttle Services". Dot.state.ak.us. Retrieved February 22, 2013. ^ Ted Stevens Anchorage International Airport. "Ted Stevens Anchorage International Airport – Taxi Service". Dot.state.ak.us. Retrieved February 22, 2013. ^ Ted Stevens Anchorage International Airport. "Ted Stevens Anchorage International Airport – Rental Cars". Dot.state.ak.us. Retrieved February 22, 2013. ^ Ted Stevens Anchorage International Airport. "Ted Stevens Anchorage International Airport – Customer Service Partnership". Dot.state.ak.us. Retrieved February 22, 2013. ^ "Hudson Group". Hudsongroupusa.com. Archived from the original on July 3, 2013. Retrieved February 22, 2013. ^ "N47 Accident description". Aviation Safety Network. Retrieved October 20, 2010. ^ "Accident description". Retrieved July 15, 2013. ^ Lemann, Nicholas (September 30, 1979). "The Great Alaska Feud". Washington Post. Washington. p. B1.